With the newest update of Finery, there are so many improvements and new add ons that were carefully created to take Finery one step further. One of the newest additions is the outfit inspo of the day. The first row of outfit inspo comes from items that are already in your closet! What they do is they take an item from your closet (let’s say a skirt) and they find ways to wear it based on the bloggers or other celebrities are wearing it. The second row of outfit inspo is the “gaps” that are in your wardrobe. What they do for this is they find new outfits based on the ones that you already have to try to “fill the gap”. 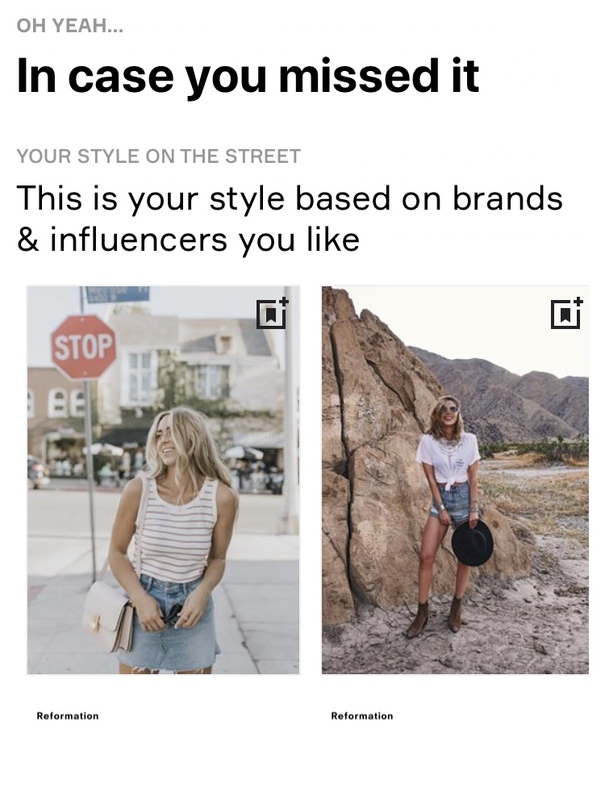 The third (and the fifth) row are solely bloggers and celebrities that you have picked from the survey in the beginning of setting up the app that you feel have a similar style that you have. Another great addition is that they included a more clearer way to add clothes from app rather than computer. With the old version, it was difficult to find the old clothes on the app. The only way to efficiently get your clothes onto the old app was to use the computer. With the new update, it is MUCH easier to find the old clothes on google images. One of my favorite improvements is the ability to plan your outfits and put them in categories! With the old app, you could plan your outfit for the week and put it on a calendar. In the new app, you are able to plan it out for the week, plus adding specific categories as well!! The categories are “Everyday”, “Casual”, “formal”, “Nightout”, and “Trips”. This allows you to better organize your outfits into styles for your everyday and special occasions!